FFA - More companies stop advertising on Al Jazeera America. 155 companies have stopped advertising. Two more companies have responded to communications from the Florida Family Association office stating that they will not advertise on Al Jazeera America. The email below from Ilawsuit.com stated "our ad was aired originally and then again without our permission or knowledge." Clear Choice Dental and iLawsuit.com responded to communications from the Florida Family Association office with emails posted below. 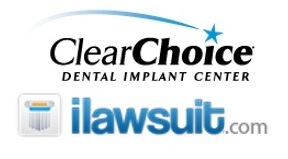 Clear Choice Dental pulls ads from Al Jazeera America. Please see response below from my Chief Marketing Officer. We have never intentionally advertised on Al Jazeera America, but as you can see it may have occurred inadvertently in a package buy. InterMedia is our ad buyer, and we have notified them that we do not wish to advertise on that station. iLawsuit.com pulls ads from Al Jazeera America. I assure you we have taken every step to ensure our ads are not airing on this network. I assure you we are in no way paying to have our ads run on this network. I share in your frustration and disappointment that our ad aired again. We have notified Comcast that our ads appeared and that we never bought advertising on that network. We further notified Comcast to confirm our ads would not run there again. Apparently somehow our ad was aired originally and then again without our permission or knowledge. We are now looking at legal action and are diligently following up on this matter. I sincerely appreciate you making me aware of this. Please notify me if you see our ads again and thank you for your patience. Based upon prior situations Florida Family Association does not advocate sending emails of appreciation in these circumstances. Most of the officials in prior situations asked that their contact information be removed after being overwhelmed with the email volume. A total of one hundred fifty five (155) companies have stopped advertising on Al Jazeera America. 133 companies stopped advertising on Al Jazeera America after the Florida Family Association office communicated with the companies’ CEOs and Marketing VPs. 22 companies stopped advertising after Florida Family Association supporters sent tens of thousands of emails in response to online email campaigns at Floridafamily.org. A total of 155 companies stopped advertising after receiving emails from the Florida Family Association office or after receiving thousands of emails from Florida Family Association supporters. Not one Fortune 500 company has advertised on Al Jazeera America since Florida Family Association’s email campaigns and airplane banners influenced Procter & Gamble to stop advertising on October 6, 2013. Only one Fortune 1000 company, Expedia.com, has advertised. Less than ten companies have advertised during any one week since October 6, 2013. Approximately fifty companies advertised each week when Florida Family Association started contacting advertisers of the then named Current TV channel in January 2013. All but one of the ten current advertisers are very small companies. If you would like to support Florida Family Association's efforts with a tax deductible, confidential gift via PayPal, credit or debit card or checking account please click here.